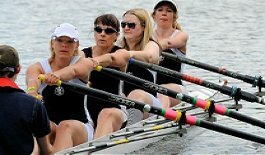 The club allocates every active rowing member (apart from those just starting out or being contrary) to a squad. Each squad has a coordinator who organises who does what and when. Most squads have a regular coach of their own, but there is also joint coaching work across squads as resources allow.